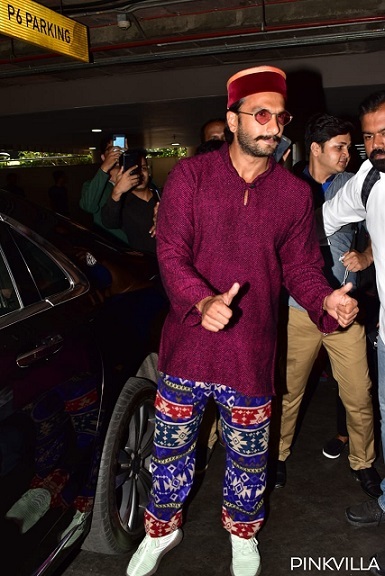 Ranveer Singh returned to pavillion from Dharmashala today and was snapped at the Mumbai airport in a colourful avatar. 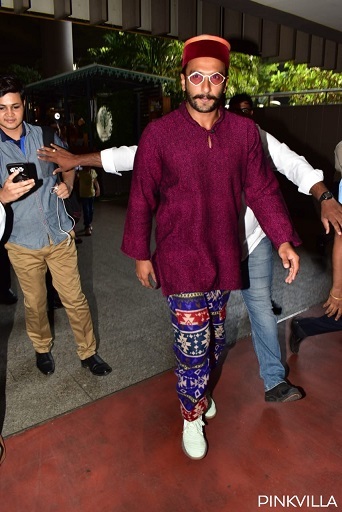 The actor returned from Dharmashala and looked like the hills had inspired his outfit. Ranveer Singh opened the year 2019 with a blockbuster box office hit Gully Boy and has already upped the ante for his next film '83. The cast of the film recently kick-started their prep for the sports drama and videos as well as pictures went viral on the Internet. Directed by Kabir Khan, the film is based on India's triumphant victory in the 1983 cricket world cup. Training in the Dharmashala Cricket Stadium, the entire squad had a great bonding time as well as were trained by the cricket god Kapil Dev. 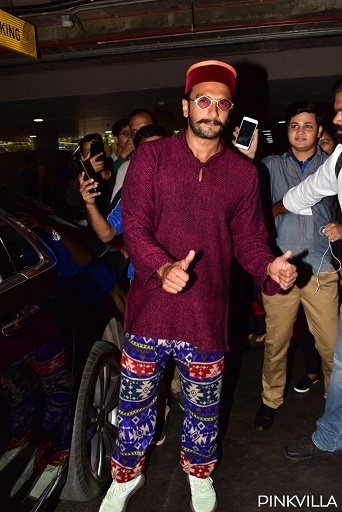 Ranveer returned to pavillion today and was snapped at the Mumbai airport in a colourful avatar. 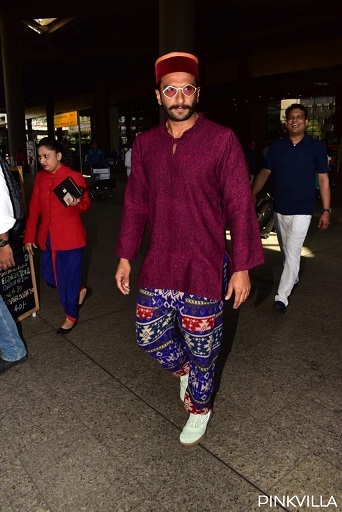 The actor returned from Dharmashala and looked like the hills had inspired his outfit. 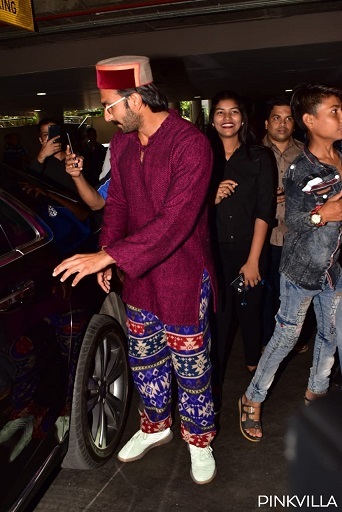 Sporting blue printed pants, a maroon kurta and a hat, Ranveer's airport was rather different from his usual looks. The actor completed his look with a pair of rose tinted sunglasses. The starcast of Kabir Khan’s ‘83 includes besides Ranveer Singh, Pankaj Tripathi as Man Singh, Ammy Virk as Balwinder Singh Sandhu, Chirag Patil as his father Sandip Patil, and Hardy Sandhu will be seen as Madan Lal. Actors like Saqib Saleem will be stepping into the shoes of Mohinder Amarnath, and last but definitely not the least, Sunil Gavaskar will be played by Tahir Raj Bhasin. He reminds me of a young SRK. Ugly, horrible nose, over-confident, self-absorbed, over-exposed in the media and generally obnoxious. There is a place and time for everything. Keep it classy dude. You are hiding your good looks by dressing like this all the time bro.Before you know it you will be old and your good looks will be gone. Flaunt it while you have it. He has no good looks to flaunt.